Xiaomi Mi A2 is one of the popular Stock Android devices runs on the Android One platform. It’s a successor of the Mi A1 device and comes with so many features and mid-range specifications as well. As the handset runs on Stock Android UI and doesn’t have so many customizations or themes, some of the users want to flash any Custom ROMs on this device. If you’re also a Mi A2 user and want to flash an Android Pie based Custom ROM, here is the guide on how to download and install Havoc OS on Mi A2. 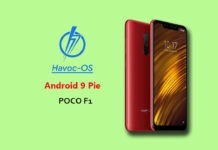 But before going to the flashing requirements and process, you should check out the Havoc OS features and other details. Havoc OS is based on AOSP and inspired by Google Pixel ROM. It has a redesigned material theme-based UI with so many extra features and customizations which you won’t find in any other ROMs. It brings system stability and performance-based user experience with every official stable build. 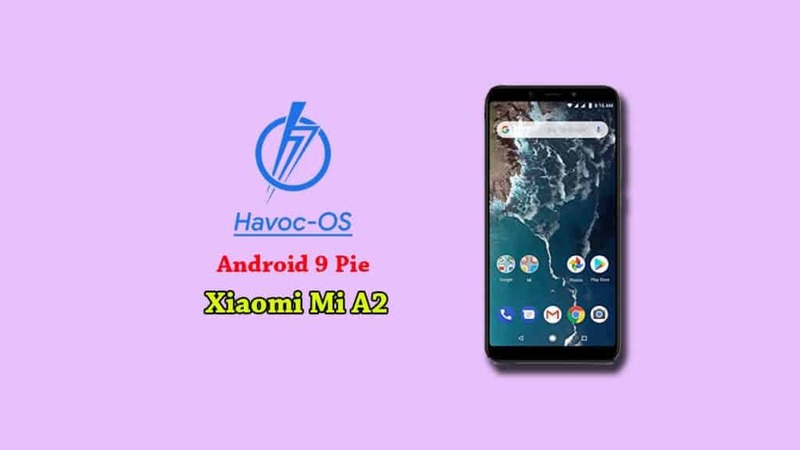 Now let’s talk about how to download and install Havoc OS on Mi A2 based on Android 9 Pie. This guide and files are only for Mi A2. Don’t try to flash these files on any other device. Required a USB cable and a computer to unlock the device bootloader. Your device bootloader should be unlocked at first. Download ADB Fastboot Tool and extract it on your PC/Laptop and install it. Take a full backup of your device before starting the installation process. Keep your device battery charged at least 60%-70% for a smoother flashing process. Enable USB Debugging and OEM Unlock from Developer options via device Settings. Download twrp.img file for Mi A2 and copy it on your device. Install the Custom TWRP Recovery on your device. Enable USB Debugging and Unlock the Bootloader on your device. Disclaimer! Do it at your own risk. Gadget Headline will not be responsible for any kind of damage or error occurs to your device during following the process. It’s recommended to follow the step-by-step method provided below. You need to connect your Mi A2/Mi A2 Lite device with your PC via a USB cable. Go to the installed ADB Fastboot directory (C: drive) and open terminal or command prompt directly. Reboot your phone to Fastboot mode by typing the following command and press enter. Check your device to grant permission for your PC for the first time. Your device will boot into the Fastboot mode. Now, type the below command and press enter. You will get a notice that you’re trying to unlock your device bootloader. Select the option normally to unlock via your device volume key and press the power key to confirm the selection. The unlock preparing process will start and you have to wait for some time. Your device data will be erased completely. Restart your device into Fastboot mode by the earlier process. You will get a warning notice again. Just follow the options and your device will be restart again. You’re done! Now, your Mi A2/A2 Lite device bootloader is unlocked properly. Download the ROM and GApps from the links above. Copy both the files on your device storage (Internal/external). You will enter into the TWRP Recovery Menu. Now, go to the Wipe > Select Wipe System, Data, Dalvik, Cache > swipe to confirm wipe. Back to the main TWRP menu and tap on Install button. Search for the downloaded ROM file destination and select the firmware file. Swipe to confirm flash and wait for a few minutes to complete the installation process. Now, go back again to the home screen and select Install. Search for the GApps file from the storage and confirm flash again. After a complete flashing, tap on Reboot Now option. It will take around 10-15 minutes to boot for the first time.